My RR5 and I was going to be racing but realized I was not ready. I have yet to even run ithe 1/5 buggy on A track let alone racing it. You have to at least get a shake down of what you are racing. 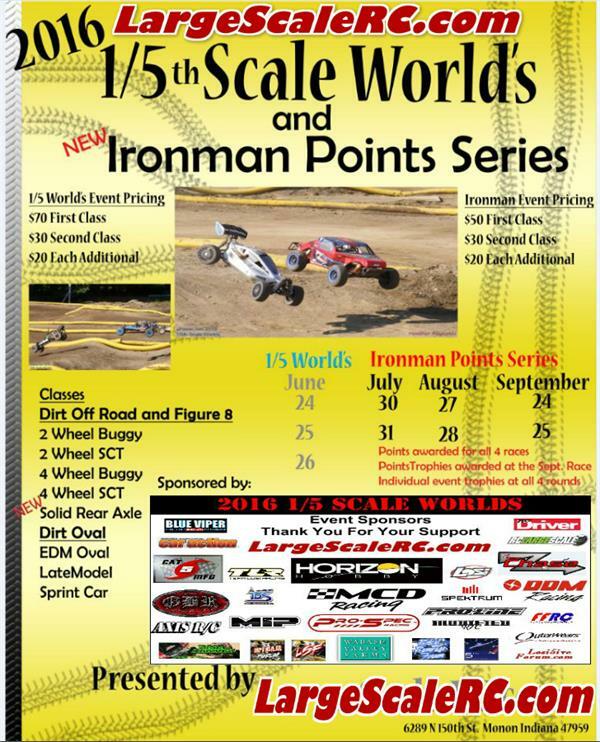 I do not have any 1/5th scale racing that is relatively close, I will have to try to attend next months race. I do want to thank large scale RC, in that if I did have a brake down at the races, my RR5 would have unlimited access to parts. I raced motocross when I was younger, so I am not afraid of driving to get to the races. This would be a lot closer to you.